Description: Small, tabletop microphone. Made of metal. Heavy. Round outer frame holding microphone with springs. Switch on base. 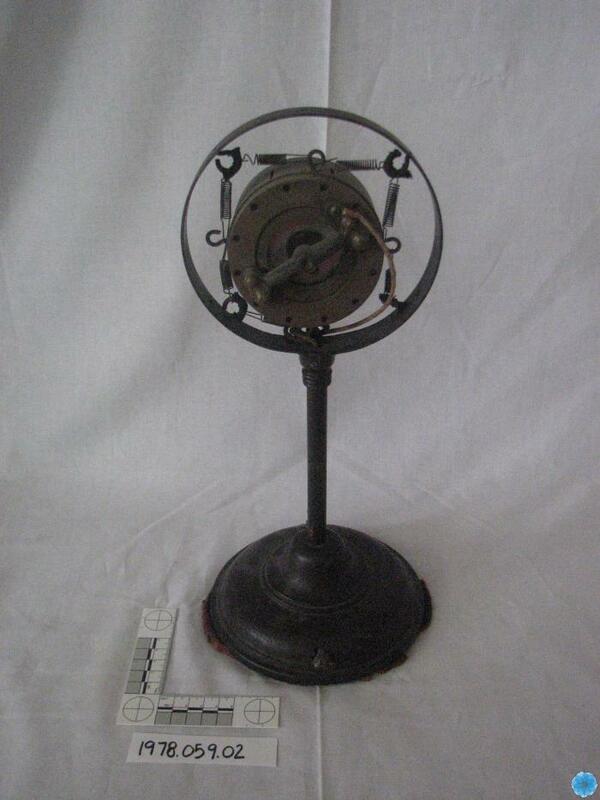 History of Use: This is one of CJCB's original microphones used from 1929-1933 in Sydney.